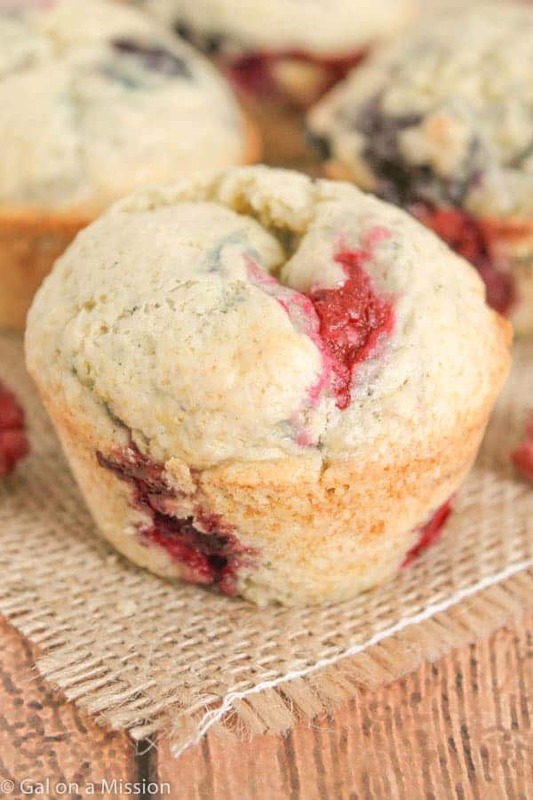 A bakery-style blueberry and raspberry muffin that is a refreshing and delicious breakfast that pairs perfectly with a cup of coffee or tea. Before we get talking about these amazing fruity muffins, let’s talk about the weather! I absolutely enjoyed yesterday so much. We decided that we needed to grill for dinner and take advantage of the awesome 70 degree weather because it doesn’t look like it is going to last for long. Bummer – I know! Today looks like the last day of the 70 degree weather and then back to the middle 30s. 30 degrees…ouch! 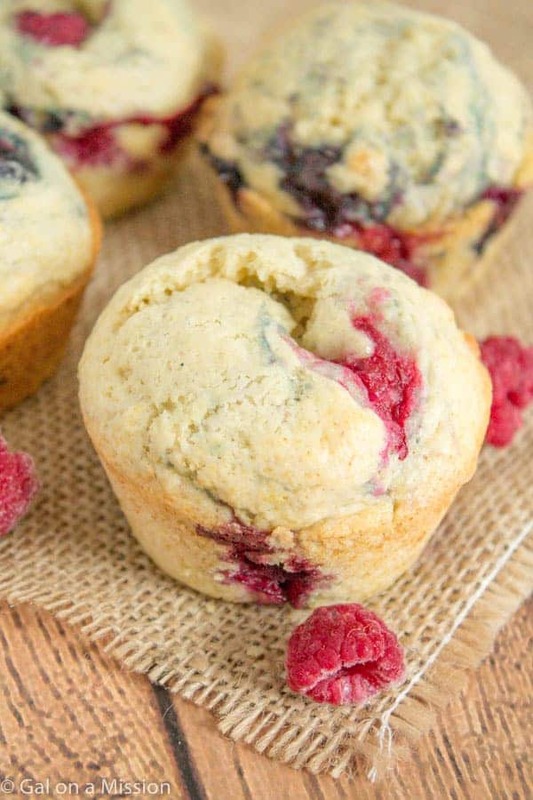 Now these blueberry raspberry muffins are a total keeper because they are super-moist, contain fruit, and are just perfect. In the recipe I used buttermilk to achieve the super-moistness; however, you can use regular milk. Heck, you can even make your own homemade buttermilk by adding 1 teaspoon of vinegar to your regular milk and letting it sit for about 10 minutes. I love using the homemade buttermilk option. We can never go through a whole quart of buttermilk before it starts to go bad. 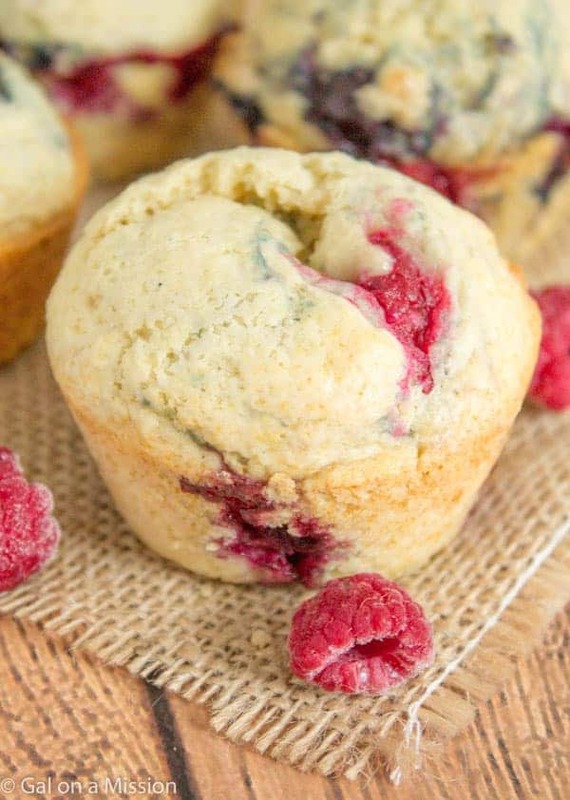 The other day when I had these muffins on my mind, I decided to take a peek into the back and I mean VERY back of my freezer and noticed I needed to use up the blueberries and raspberries. You are welcome to use any kind of berry that you have on hand. If you just have blueberries on hand, then you can always just make it a blueberry muffin instead. 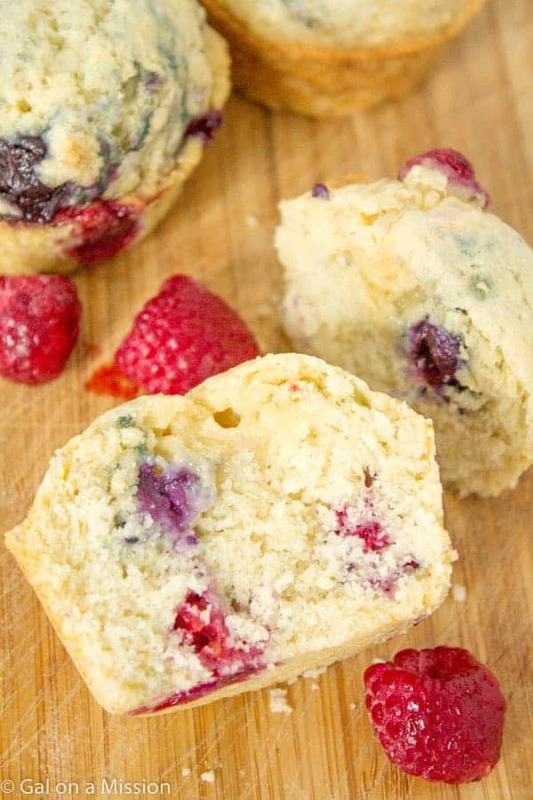 This is such an easy and delicious blueberry and raspberry muffin recipe because you only need normal ingredients that you probably already have on hand. Like….buttermilk (or the homemade option), canola oil or vegetable oil, vanilla extract, all-purpose flour, eggs, granulated sugar, baking powder, blueberries, and raspberries. You will also only need one bowl and that it does not require a mixer – woohoo! Preheat oven to 375 degrees. Spray non-stick cooking spray on your muffin tin or you can use liners instead. In a large mixing bowl, combine the buttermilk, oil, and eggs. Mix together. Add in the sugar and vanilla extract and mix together. Slowly add in the flour and fold it into the wet batter. Fold in the baking powder and salt into the muffin batter. Add the muffin batter into the tins or into your liners and fill all the way to the top. If you have any extra blueberries or raspberries you can place some on the top. Bake for 19 minutes. Allow the muffins to cool 2-3 minutes and then transfer to a cooling rack. You can use store-bought or homemade buttermilk by adding 1 teaspoon of vinegar or lemon juice and allowing it to sit for 10 minutes. Stores in an airtight container for one week. The weather was great, now back to the 30s. Hope spring is on it’s way soon!! Thanks for pinning, Jillian! 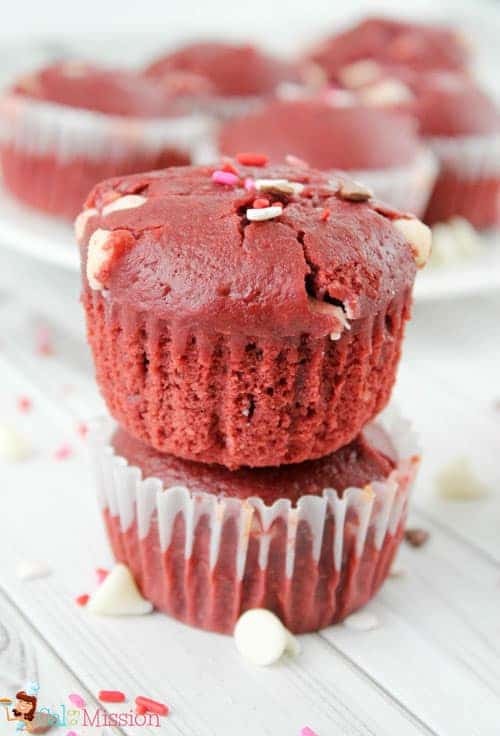 Chelsea, these muffins look delicious and I just LOVE berries! Thank you so much for sharing at Best of the Weekend – pinned to our party board! Have a happy Saturday and wonderful weekend! 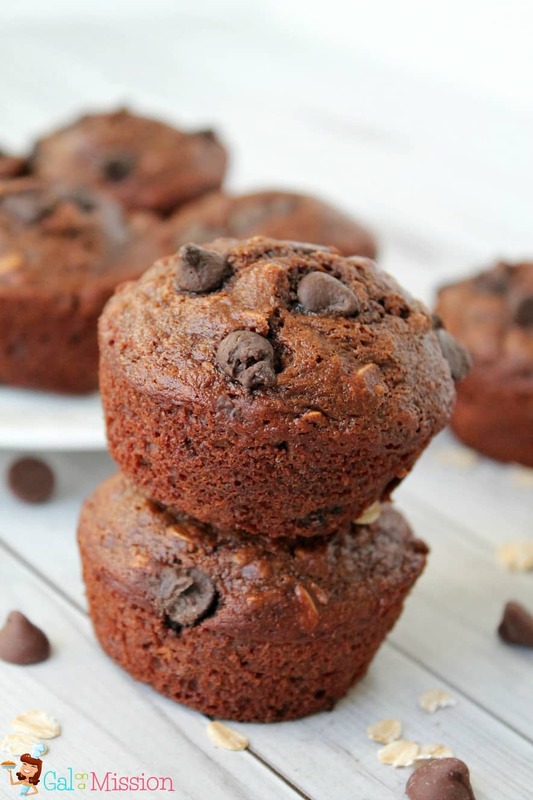 These muffins look so delicious — I would love one with my coffee right about now! Chelsea, thanks for sharing on Marvelous Monday tonight! Pinned and shared on FB! Perfect! I had bags of blueberries and raspberries in my freezer also and needed to use them up, plus some heavy cream ready to make butter. So now I’ll have some yummy buttermilk berry muffins with fresh butter on them! The batter did make more than 14 muffins, no complaints here, more to eat! Thanks for this great, simple, and easy recipe.